Dental implants are considered the standard for replacing missing teeth. 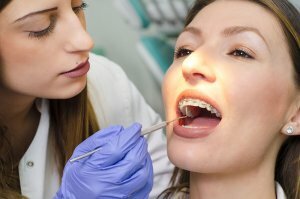 If you are missing one or more teeth, you may be a candidate for the procedure, which replaces the root of the missing tooth for a sturdy, permanent restoration. Most patients who are healthy enough to undergo a routine extraction will also be healthy enough for dental implants. Several factors will be considered when determining if you are healthy enough for dental implants. General Health Conditions – Certain health problems, including diabetes and high blood pressure, will not affect your candidacy for dental implants as long as they are well-controlled. If you are struggling to maintain a healthy blood pressure or blood sugar levels, we may recommend regaining control of your symptoms to reduce the risks of complications. Bone And Gum Tissue – Good dental health and hygiene can help reduce the risk of post-procedure infection. Unfortunately, untreated gum disease can interfere with osseointegration. The same inflammation that damages the soft tissue can damage the underlying bone, making it unsuitable to support the dental implant. Patients with advanced gum disease need to have that condition under control before proceeding with dental implants. If you have lost gum or bone tissue due to tooth loss or gum disease, you may need to undergo a bone graft procedure that will help restore gum tissue so that it can support the implant properly. Habits – Heavy smokers may be more prone to complications, but you may still be a candidate for dental implants even if you smoke. We may recommend that you quit before undergoing the procedure and during the healing period. Patients who opt for dental implants do so to take advantage of a durable, stable tooth replacement method. To get the maximum lifespan from your dental implants, discuss any health concerns with our office in advance. Contact Prestige Oral Surgery to schedule a free consultation at 732-297-7000.